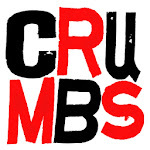 CRUMBS Improvised Comedy Theatre: What is Next? 1) CRUMBS at the Gas Station Theatre. This is the show you really want to be at. This is our 9th "Berlin or Bust" show. This is the fundraiser that we rely on for money that makes sure we can eat while we are on the road. This is the show that packs the house, the show that kills the comedy monster, the show that sustains us for months while we are touring through places that don't fully get our Prairie inside jokes. 2) CRUMBS final show at the King's Head Pub. This show will be on Tuesday, March 3rd and will feature some special guests including DJ Mama Cuttsworth (while DJ Hunnicutt is on tour) and perhaps other cool folk too. So Please come check out these shows in Winnipeg. And if you have the gumption to jump on a plane and follow us throughout Europe... or you know other folks who are already there, you can find out where we play right here.